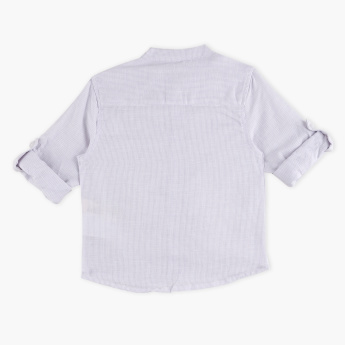 Add a sophisticated touch to your little boy's wardrobe with this elegant striped shirt which is an ideal pick for any occasion. 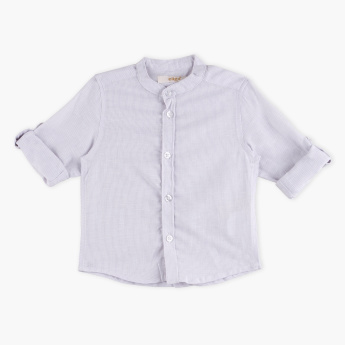 The long sleeves add an extra touch of style to its modish look. 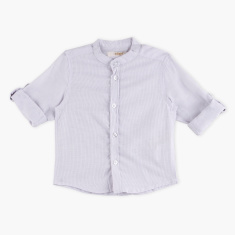 It is made from a supreme quality fabric that will keep your child at ease for the entire day.